Genre: Young Adult, Science Fiction. Pitched as a "Bourne Identity"-type sci-fi thriller about a teenage girl who discovers that she is a Mobile Intel Life-like Android, an experiment in artificial intelligence created by the U.S. government, and her scientist mother, who kidnapped her when she was found to have human emotions. 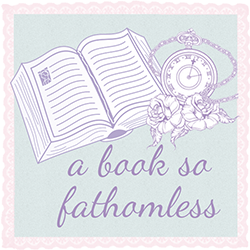 I’m not in the habit of DNFing books. I can generally tell whether a book is going to be for me or not from the synopsis. Sometimes though, I get it wrong. I can remember the day I bought this. It was on the shelf at Readings (one of my favourite bookstores) and it was reasonably cheap for Australia — about $14. I’d never heard of it before I picked it up that day, but it sounded like a good Sci Fi so I bought it. It sat on my shelves for probably about two years, and then I decided I read it for Round 5 of RYBSAT. I should have known when I picked this up and wasn’t excited to read it at all that it probably wasn’t a good sign, but I ignored that. Anyway, enough story time let’s talk about why I DNFed this. 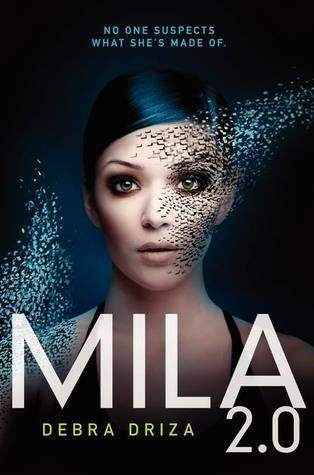 For those of you who don’t know, the basic premise of this story is that Mila is a cyborg (and I checked Goodreads and every review mentioned this so I don’t think that’s a spoiler). Cyborgs are cool though right? I mean, Cinder. Apparently cyborgs belong in the same category as dragons for me, which is the ‘only if it’s done really super well’ category. The thing that gets me the most is that I read chapter one and I thought it sounded great. I was interested in where it was going, and then I read chapter two. Suddenly it was like every other YA ever. Let me break it down for you, in chapter two Mila and her friends are in this café/diner/thing. We have Kaylee, Mila’s best friend, who is a bubbly, (far too) energetic, sort of ditzy girl. Then we have Ella, one of those characters who I like to describe as the ‘Peter Pettigrew in fanfiction’ characters — basically they serve no purpose other than just to be that fourth friend. Finally, we have Parker, the stereotypical mean girl who lives to make Mila’s life a living hell, but somehow they’re friends? Anyway, Mila is being all distant and spacey, thinking about the memory loss she’s suffering from when a boy walks in, naturally he’s new to town, incredibly hot, named Hunter and Mila is weird in front of him. Have you read this before? Because I know I have. I skim read up to page 100 but I just couldn’t push any further. I know quite a lot of people love this, and I really wish I did but it was just too generic for me. I’m sorry!